Chan Wai-Yee, obtained his B.Sc. (Hon. 1st Class) from the Chinese University of Hong Kong and Ph.D. in Biochemistry from the University of Florida, Gainesville, Florida, USA. He served as an Assistant Professor and then a tenured Associate Professor at the Department of Pediatrics, University of Oklahoma Health Science Center, Oklahoma, USA. He became a tenured Professor, Department of Pediatrics, Georgetown University, Washington, DC, USA in 1989 and remained there till October, 2009. He also served as Chief of the Division of Genetics and Metabolic Diseases from 1998-2000. In 2001, he was seconded to the U.S. National Institute of Child Health and Human Development (NICHD), National Institutes of Health (NIH), to found the Laboratory of Clinical Genomics and was later appointed as Head and Principal Investigator of the Section on Developmental Genomics, NICHD. In June 2009 he became Professor of Biomedical Sciences and Director of the School of Biomedical Sciences, Faculty of Medicine, the Chinese University of Hong Kong. Currently, he is also the Director, CUHK-Shandong University Joint Laboratory in Reproductive Genetics, Director, CUHK-Beijing Genome Institute Innovation Institute of Transomics, Director, CUHK-Chinese Academy of Science (CAS) Guangzhou Institute of Biomedicine and Health Joint Research Laboratory on Stem Cell and Regeneration, and Director, CAS Kunming Institute of Zoology-CUHK Joint Laboratory of Bioresources and Molecular Research in Common Diseases. Since 2009, he has been appointed Adjunct Professor, Department of Biochemistry and Molecular & Cell Biology, Georgetown University, USA, and Visiting Scientist, Laboratory of Clinical and Developmental Genomics, NICHD, NIH, USA. He holds Adjunct or Visiting Professorships at a number of universities in mainland China, including Zhejiang University, Jinan University, Shandong University, Shenzhen University and Chongqing Medical University. He is also a Distinguished Professor at the Chinese Academy of Science, Guangzhou Institutes of Biomedicine and Health, Guangzhou, China. He is currently a member of the Academic and Technical Committee of the National Research Center for Assisted Reproductive Technology and Reproductive Genetics, Shandong University, Shandong, China. His expertise is in developmental functional genomics and epigenomics of germ cells, germinal stem cell biology, molecular genetics of human reproductive and endocrine disorder, and non-coding RNAs in normal and abnormal development. Besides being listed in a number of Who’s Who books including Who’s Who in the World, 1984, American Men and Women of Science, 1982, and International Who's Who in Medicine, 1986, he was a recipient of the 1988 Merrick Award for Outstanding Biomedical Research from the Oklahoma Medical Research Founda­tion, 1989 Service Award from the University of Oklahoma, and the 2008 Presidential Award from the Association of Chinese Geneticists in America. 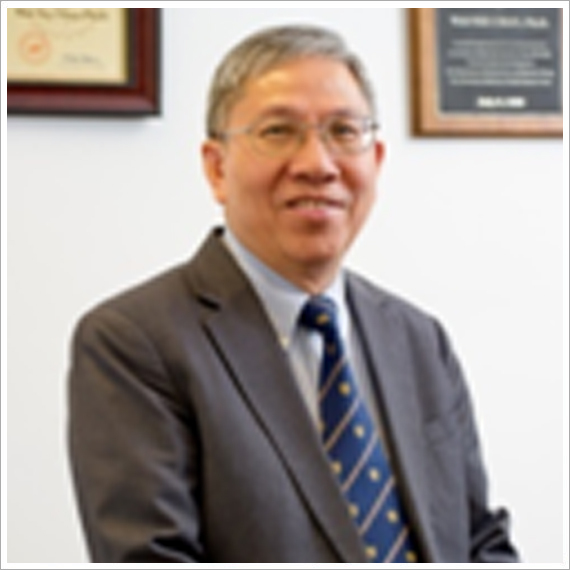 He has served in a number of professional academic societies, including President of the Association of Chinese Geneticists in America, member of the Development Committee of the Society for the Study of Reproduction, USA, Oklahoma Representative of the Chinese Bioscientist in America. He is also a member of the Shaw Prize Council, The Shaw Prize Foundation since 2013. He served as member in a number of research funding agencies including the US National Institutes of Health, Health Research Council of New Zealand, the UK Wellcome Trust and Health Research Board, Diabetes UK, Science Foundation of Ireland, French National Alliance for Life and Health Sciences and French National Cancer Institute, Hong Kong Food and Health Bureau Research Fund, and the Research Grants Council, University Grants Committee of Hong Kong. He is a member of the editorial board of 24 international scientific journals. He holds 5 patents, edited 5 books, contributed 26 book chapters, and published over 175 scientific articles in international peer-reviewed scientific journals.